Keet, C.M., Fernández-Reyes, F.C., Morales-González, A. 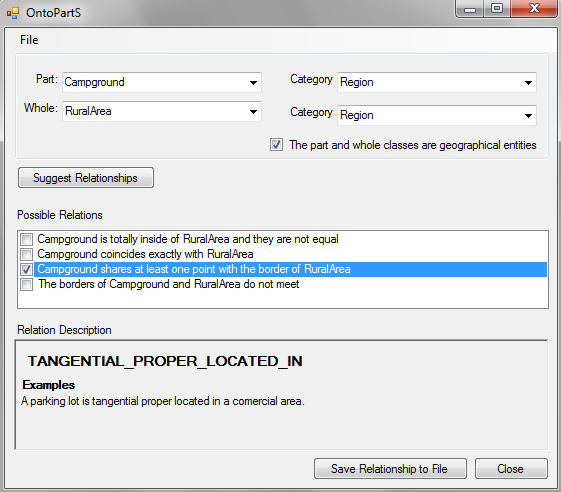 Representing mereotopological relations in OWL ontologies with OntoPartS. 9th Extended Semantic Web Conference (ESWC'12), Simperl et al. (eds. ), 27-31 May 2012, Heraklion, Crete, Greece. Springer, Lecture Notes in Computer Science LNCS 7295, 240-254.
v1, main categories: Keet, C.M. A core ontology of macroscopic stuff. 19th International Conference on Knowledge Engineering and Knowledge Management (EKAW'14). K. Janowicz et al. (Eds.). 24-28 Nov, 2014, Linkoping, Sweden. Springer LNAI vol. 8876, 209-224. Reference: Keet, C.M., Lawrynowicz, A., d'Amato, C., Kalousis, A., Nguyen, P., Palma, R., Stevens, R., Hilario, M. The Data Mining OPtimization ontology. Web Semantics: Science, Services and Agents on the World Wide Web, 2015, 32:43-53. Reference: Chavula, C., Keet, C.M. An Orchestration Framework for Linguistic Task Ontologies. 9th Metadata and Semantics Research Conference (MTSR'15), Garoufallou, E. et al. (Eds.). Springer CCIS vol. 544, 3-14. 9-11 September, 2015, Manchester, UK. OWLPathS.owl and SKOSPathS on bottom-up development of ontologies with DiDOn. Reference: Keet, C.M. Transforming semi-structured life science diagrams into meaningful domain ontologies with DiDOn. Journal of Biomedical Informatics, 2012, 45(3): 482-494. PilotPollution1.owl and MicrobialLoop.owl form very early experiments on bottom-up development of ontologies using diagrams from ecology; see the DILS 2005 paper and the supplementary page for context. 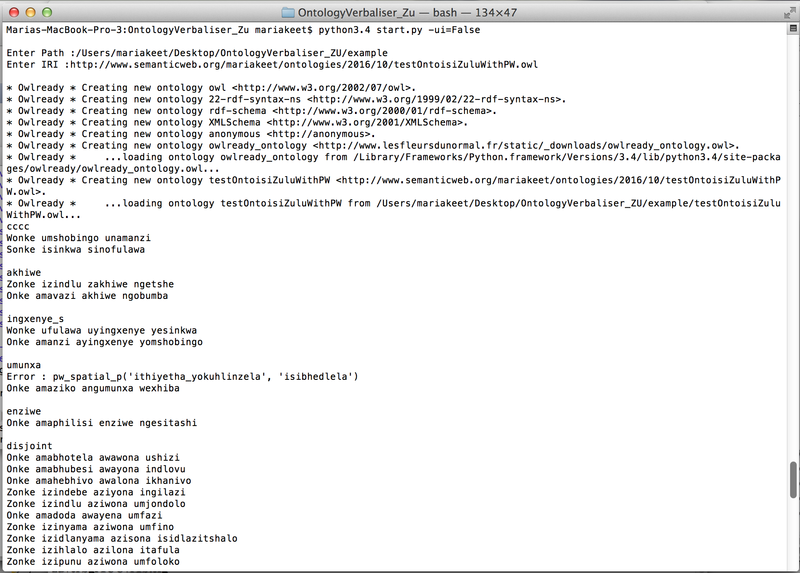 The ontologies and obda files for the rough ontologies; see the DL 2010 and EKAW 2010 papers for context. The adolena.owl: ontology about abilities and disabilities, as part of an experiment on OBDA; see the OWLED 2008 paper for context. TDDonto and TDDonto2: test-driven development of ontologies and the code of the most recent version and a tutorial; see also the ESWC16 and DL16 papers, the ESWC17 demo and the arxiv tech report of 2018.
isiZulu pluraliser and natural language generation: isiZulu natural language generation tools; see also the RuleML14, CICLing16, and INLG16 papers, LRE17 journal paper, and ESWC17 demo; download the code and examples, or view a screencast. See also the Github repo of all the material produced in the GeNI project. 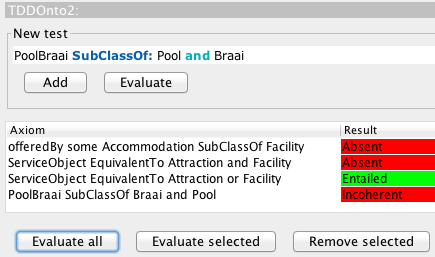 IsiZulu and isiXhosa spellcheckers: see also the IST-Africa 2016 and 2018 papers, the blogpost about the launch of v1 in 2016 and the extended v2 of late 2017. 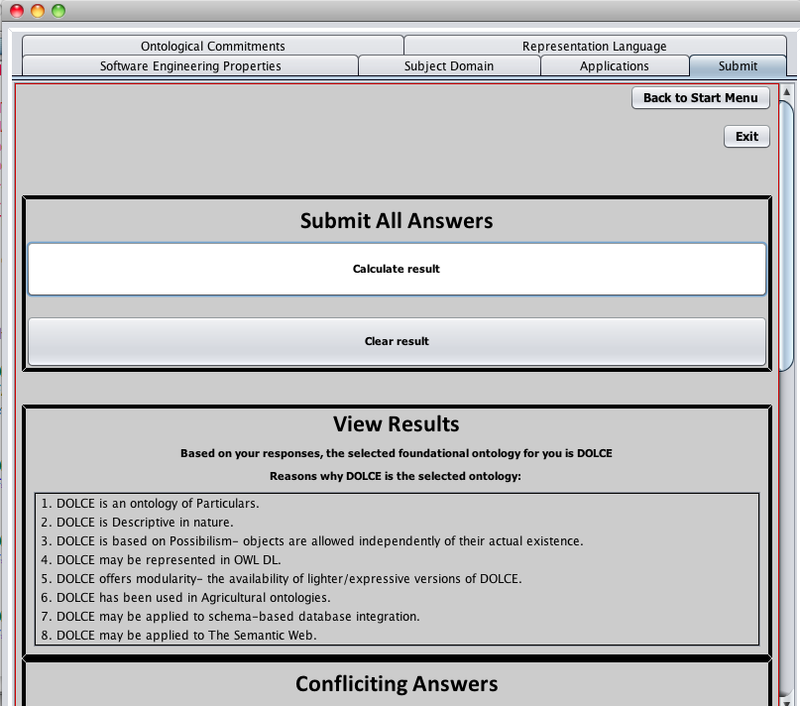 OntoPartS: ontology-guided part-whole relation selection tool, with a screencast; see also the ESWC12 paper. Extended version: OntoPartS-2: reasoner-enhanced version of OntoPartS; see also the CIKM13 paper. ONSET: foundational ONtology Selection and Explanation Tool; see also the EKAW12 paper. 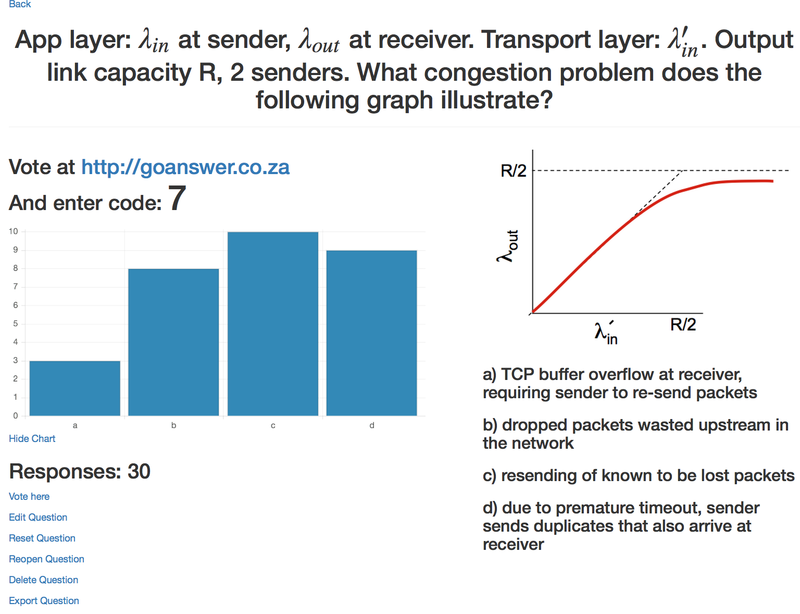 Competency Questions with SPARQL-OWL queries: 234 CQs and 131 SPARQL-OWL queries over their respective ontologies; described in a submitted paper and, with analysis, in a longer technical report. Set of ontology modules: 189 ontology modules; described in the Applied Ontology 2015 paper. 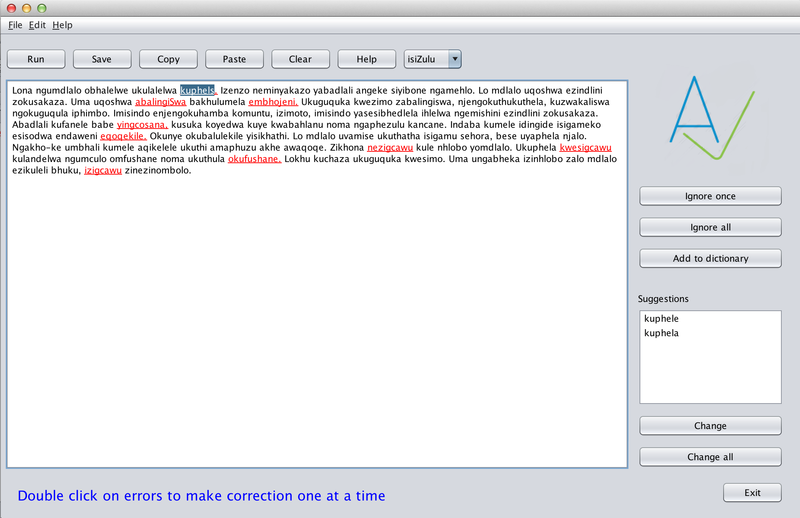 GeNI: software and documentation of the isiZulu NLG algorithms implemented.